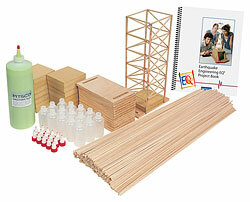 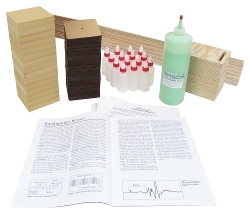 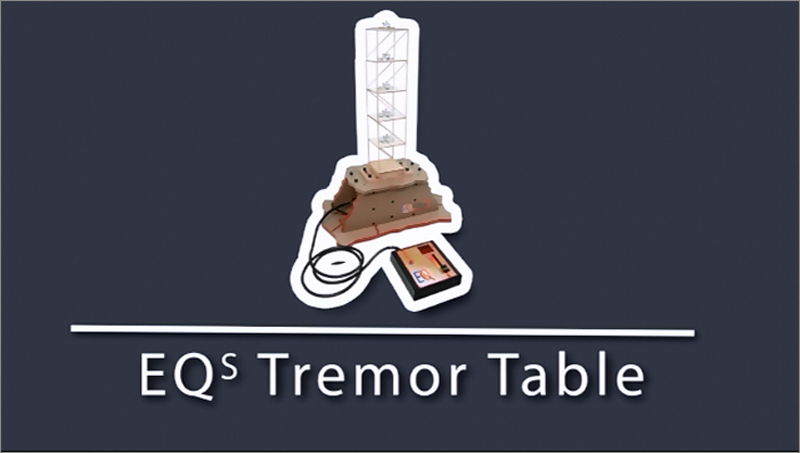 Shake things up with Pitsco’s EQs Tremor Table – the ultimate in testing student-built structures for quake resistance! 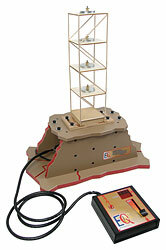 Looking like a chunk of Earth’s crust dislodged by an earthquake, the EQs shakes model buildings to the breaking point. 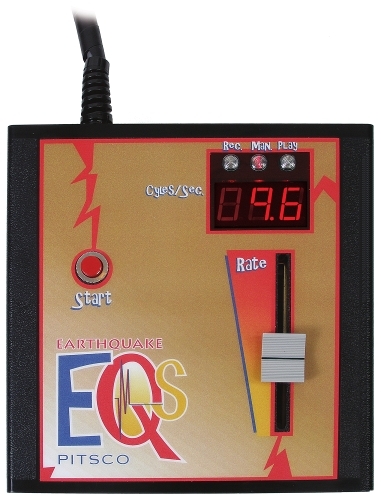 A control box with an LED display reports the cycles per second from zero to 30, which is within the range of an earthquake’s P waves. 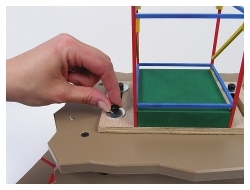 Plus, you can program up to eight minutes of a shake sequence – perfect for consistent testing and structure-building contests. 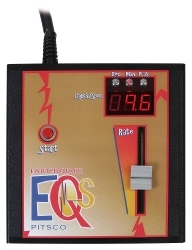 The EQs is also a great tool for demonstrating resonant frequency. 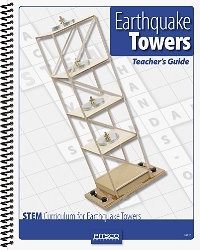 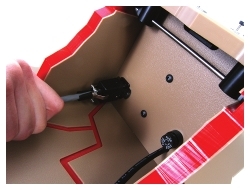 When used with the floor plate system, the EQs helps your students reach new heights of learning. The floor plates are made of 1/8" plywood and are built as part of the structure. 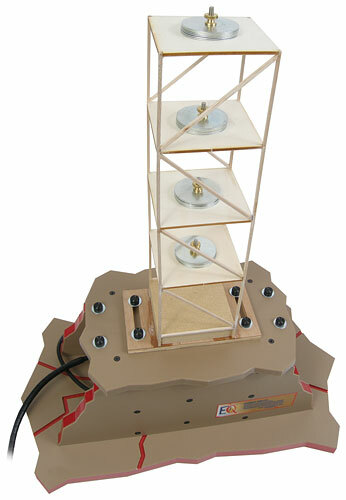 Holes in the plate’s center allow bolts and washers to be attached, which simulate the concrete and steel load on the floors of a real skyscraper. 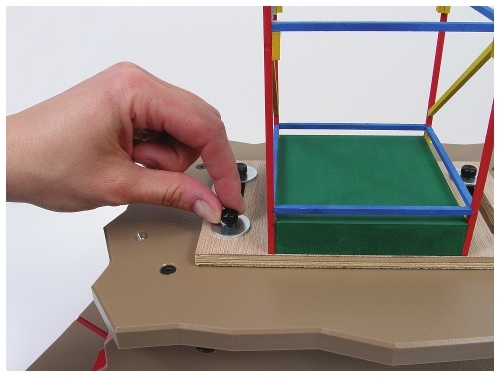 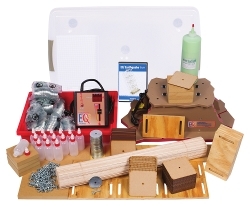 Without having to insert metal load plates after building, students have more design possibilities by using this system. 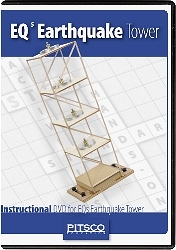 Note: Use only the EQs Floor Plates or the EQs Mass Plates, shown below. 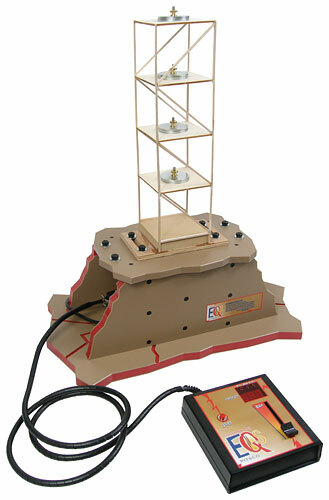 Do not use the steel plates shown elsewhere on this site.